Finally just over six months into the smallholding’s eco-makeover, the big day arrived for moving in all our unnecessarily large amount of stuff. A week of unprofessional packing, cleaning up after the builders and writing out an unfeasibly long snagging list, led to a mere four hours of highly professional stuffing it all into the removal van, a near miraculously quick two hours of unloading and a highly commendable lack of any breakages. All in all a very easy moving experience. If only the same could be said of the unpacking task that we now face. At least ‘the stuff’ which looked so voluminous when packing, seemed to relatively melt into the enlarged smallholder’s hovel. 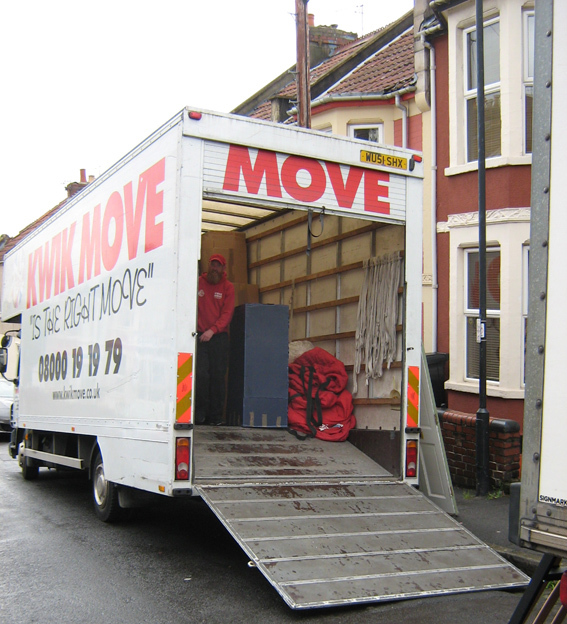 So much so in fact, that when the removal people announced they had finished unloading, we insisted on looking in their van for ourselves, convinced there must still be more hiding in there! This entry was posted in Good Life, House and tagged eco makeover, Kwik Move, moving, Paul Rainger, removals, Smallholding, The Secret Acre by paulrainger. Bookmark the permalink.